What Is an Alternate Valuation Date for an Estate? What Does Alternate Valuation Date Mean for Estates? Using an alternate valuation date for estate assets allows the executor to potentially reduce estate taxes. Values as of the date of death can be used, or the executor can instead elect to value the property at six months after the date of death. The fair market value of all assets owned by a deceased person at the time of her death contributes to her gross estate for estate tax purposes. Cumulative values over $11.18 million are subject to a 40 percent estate tax rate as of 2018. This can result in a hefty tax bill for significantly large estates, so the Internal Revenue Code offers alternate valuation date option. The estate must be large enough that it will owe estate taxes, and using the alternate valuation date must reduce that tax liability for the estate to qualify. Using the alternate valuation date can reduce the amount of estate tax that's due if one or more assets should lose a significant amount of value during the six months after death. Estates with values close to the $11.18 million exemption amount can particularly benefit. If the date of death valuation reflects an overall gross estate worth $11.19 million, using the alternate valuation date might potentially bring that value down under the $11.18 million threshold if certain assets have lost value. This can mean savings of $4,000—40 percent of the $10,000 difference between $11.18 million and $11.19 million. This is money that might otherwise go to the beneficiaries. An estate valued at $11.18 million or less would not be liable for estate taxes at all. This is an across-the-board election. All assets must be revalued if alternate valuation date values are used, not just those that might have gone down in value. This can ultimately affect the overall reduction in the value of the estate and result in fewer tax savings. Each $10,000 in reduced value of one asset might be offset by a $10,000 gain in value of another piece of property. Using the alternate valuation date can also affect the step-up in cost basis enjoyed by beneficiaries who later sell inherited assets. The stepped-up tax basis in an asset is its value as of the date of valuation for estate tax purposes. Capital gains taxes come due on the difference between this value and the eventual sales price. When the alternate valuation date decreases the tax basis, the beneficiary might be liable for increased capital gains—he could realize more of a profit when and if he sells. You must elect to use the alternate valuation date within one year of the due date of the federal estate tax return, IRS Form 706, including extensions. There's no way to request an extension for making the election, and it's irrevocable after it's made. The personal representative makes the election by indicating so on the 2017 IRS Form 706 at line 1, page 2, part 3. IRS tax forms can sometimes change a little from year to year, so the election might not appear in this exact place on 2018 returns or later. What happens if some of the deceased person's property is sold, distributed, or otherwise disposed of prior to the alternate valuation date? 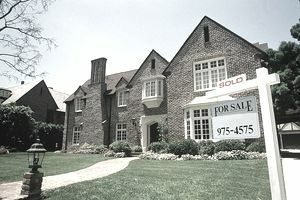 In this case, the value of the property must be determined as of the date of sale, distribution, or other disposition. The value doesn't automatically revert back to the date of death.